Before Your Nanny Starts her Nanny Job. 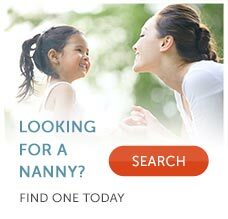 Once your nanny has accepted your nanny job offer, you are ready to start preparing for her first day. Before her first day alone with your children, make sure you give her as much information as possible so that you both feel comfortable with your expectations. Plan your training period Ideally, you or your current nanny should work side-by-side with your new hire for at least two to three days (one-two weeks preferable). Provide as much detail as possible about your children; every child is unique and when the nanny understands their tastes and preferences she'll forge a happier relationship. Provide the nanny with a written schedule with details Most children are on a daily schedule, so writing down their schedule can be helpful to your nanny. Give your nanny enough information so that she understands how your children spend a typical day. Describe your child's diet Describe or make a list of foods and snacks that you typically serve your child. Also let your nanny know if your child tends to be a grazer or if he eats at regular times throughout the day. Be sure to also let your nanny know if your child has any allergies and special dietary restrictions. Provide the nanny detailed information about sleep time If you have a napping child or if your nanny will be handling bedtime, be sure to inform your nanny of your typical nap and bedtime routines. Include tips for avoiding struggles, if there is anything your child takes to bed with her, where and when she typically sleeps and what method you use for getting her to sleep. Tell the nanny what games or activities the children enjoy Let your nanny know the activities your children enjoy. Be clear if there are any activities that are not permitted and if there are any screen time guidelines. For school age children, be sure to communicate when homework should be done, how much playtime is allowed with friends and whether or not the nanny should accompany your child when visiting friend's homes. Make an emergency contact list Besides work and mobile numbers for each parent, you should also give your nanny the phone numbers of any other nearby relatives, such as grandparents, aunts and uncles and any close neighbors. The nanny should also have the contact information for your child's pediatrician, dentist and school, as well as phone numbers for the police, fire and poison control. Execute your contact Before your new nanny begins work be sure that you have both signed the work agreement and both you and the nanny have a copy. View our article on creating a family binder for your nanny. A family binder provides a single place to store all of this information and more.